Among the most important series of papers which the Georgian Papers Programme is digitizing for public access is George III’s official correspondence, otherwise known as the George III calendar and bearing the Catalogue identity GEO/MAIN. This series contains the main series of letters relating to George III’s involvement with the government of his realm as opposed to his private relations with his family, and is kept in 38 boxes in the archive each containing several hundred documents, and which cover the whole span of his reign, though very unevenly. 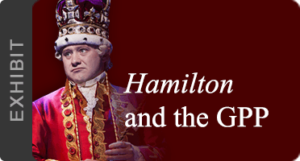 The importance of this series is self-evident, but at first sight the need for digitization might be less apparent, in that major series of the king’s correspondence have already been published. 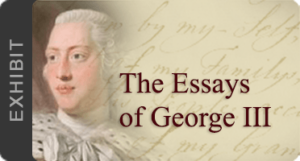 For the period 1783-1820, researchers can turn to the The Later Correspondence of George III. Published by authority of Her Majesty Queen Elizabeth II, edited by Arthur Aspinall (1901-1972) between 1960 and 1970. Its five huge volumes represented a fitting climax to an academic career largely devoted to the production of high-quality editions of elite correspondence, above all that of the Hanoverian royal family (he also edited the correspondence of George IV and Princess Charlotte). For the earlier years of the reign, researchers have long depended on The Correspondence of King George III From 1760 to December 1783, printed from the original papers in the Royal Archives at Windsor Castle, ‘arranged and edited’ in six volumes published in 1927-8 by Sir John Fortescue (1859-1933). Like Aspinall’s work, this was in effect a capstone to a long career, for Fortescue began work on the manuscripts only at the end of his tenure as Royal Librarian from 1905 to 1926. It was during Fortescue’s tenure, indeed, that many of the papers had arrived at Windsor. In contrast to Aspinall’s work, however, Fortescue’s edition was not destined to be the academic culmination of his career, for his reputation rests today on his earlier work as a military historian of the British Army. Indeed Fortescue’s edition is often regarded as deeply problematic. Rachel Krier, while she was employed as a Metadata Creator at the Royal Archives working on the first boxes of the George III Correspondence, published fascinating initial reflections on Fortescue’s work, which can be read elsewhere on this website, and which also offer a very useful introduction to the collection itself: Cataloguing George with John and Lewis!, and Publishing the Unpublished: Sir John Fortescue and the Correspondence of George III. As Krier makes clear, Fortescue’s work has a series of shortcomings which render the digital edition we are undertaking for the Georgian Papers Programme far more than an opportunity to read the documents he published in their original form and handwriting. One immediate difficulty for the modern user is that Fortescue’s Correspondence did not employ the archival references for the letters, creating a wearisome need to ‘translate’ his numbering to relate his edition to the originals (happily, however, the online catalogue for the Georgian Papers notes Fortescue’s numbering as part of the entry). Krier has also established that for the earliest years a significant percentage of the Calendar’s contents were not included in Fortescue’s edition: some 14% before 1772, with the years before his coronation in particular poorly served (A spreadsheet of the unpublished papers can be downloaded here). The most familiar criticism of Fortescue’s work, however, is that it is inaccurate. The charge was levelled in peculiarly brutal fashion by one of the most important British historians of Hanoverian era politics of the twentieth century, Lewis Bernstein Namier (1888-1960), who boiled over with frustration when he attempted to use the first volume of Fortescue’s edition in the teaching of his special subject to his students at Manchester University in the early 1930s. Namier discovered that ‘a great many of the documents are misdated, misplaced, or misquoted’, and in consequence found himself dictating corrections and notes to each year’s class. 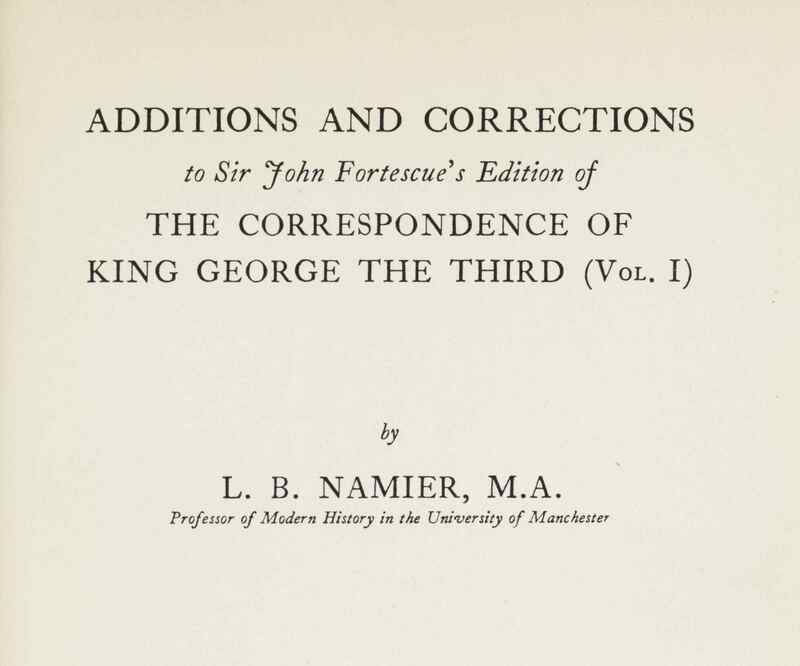 His solution was to publish his corrections as a volume itself, and thus in 1937 Manchester University Press published Additions and Corrections to Sir John Fortescue’s Edition of the Correspondence of George the Third (volume 1). It was perhaps fortunate that Fortescue did not live to see the volume, the introduction to which memorably concludes with Namier seeking to ‘put forward the proposition that letters or documents which are worth printing at all deserve adequate editing.’ (p. 5). The late John Cannon, who worked with Namier at the History of Parliament, in his Oxford Dictionary of National Biography entry for Namier goes so far as to describe the 86-page volume as ‘in some ways, his most important service to historical scholarship, helping to raise the standard of editing throughout the profession, even if many people thought Namier’s strictures severe’ , a remarkable judgement given Namier’s wider impact on the historical profession. Whether one agrees with Cannon’s verdict or not, Namier’s corrections were certainly the result of a significant amount of painstaking scholarly labour. As Krier makes clear, Namier found compiling the volume a demanding task, and plans for additional sets of corrections to later volumes, which as late as the 1950s he hoped to tackle with the assistance of Eric Robson and Ian Christie, came to nought. For anyone consulting the first volume of Fortescue’s edition, which covers the years up to 1768, however, Namier’s little volume is an indispensible vade mecum. If a vade mecum is indispensible, of course, it is essential it is available to the reader of Fortescue’s edition. Unfortunately, that is not always the case. Although Fortescue’s volumes were republished by Frank Cass in 1967, this is simply a reprint. Namier’s own volume has never been reprinted. We are therefore delighted now to be able to make available a high-quality scan of Namier’s Additions and Corrections on the Georgian Papers website. The volume can thus be consulted by anyone using our own scans of the original correspondence whether or not they have a copy of Fortescue to hand, with the Royal Collection Trust catalogue of the series providing the linking references to the numbers allotted to letters in Fortescue and the Catalogue entries. This has been made possible through the generosity of the Master and Fellows of Balliol College, Oxford, who now hold the copyright in Namier’s book. We are extremely grateful to Balliol, at which Namier studied history as an undergraduate, for their support in this enterprise. The volume can be downloaded for personal use, but it is important to recognise that the copyright remains with Balliol College, and anyone seeking further to reproduce the material should first approach Balliol College.